The personal approach – using a named contact always works better than using a general title like ‘Head of Science’. Existing contacts – do you or any of your colleagues already know somebody at that school that could either be contacted directly or asked who would be the most appropriate contact? You could also try colleagues in your Faculty Outreach Team or the Education School if your immediate team doesn’t have a contact. If you do get contact information from a colleague, mention their name in your initial approach to make contact. Visiting in person or picking up the phone can be much more effective than an email. Find out where teachers might be, for example other events around the university, and go and meet them face to face. Different approaches work best with different schools. Persevere! Is there a schools section on the institution website? Is there a central Outreach or Public Engagement team at the university? If so they will be able to discuss what they offer and help to put you in contact with the right person. Picking up the phone can often be more effective than email but make sure you have a direct number rather than the general switchboard. Do any colleagues have any contacts within the university that could point you in the right direction? If you know which subject area you are interested in working with, try contacting the relevant department directly. 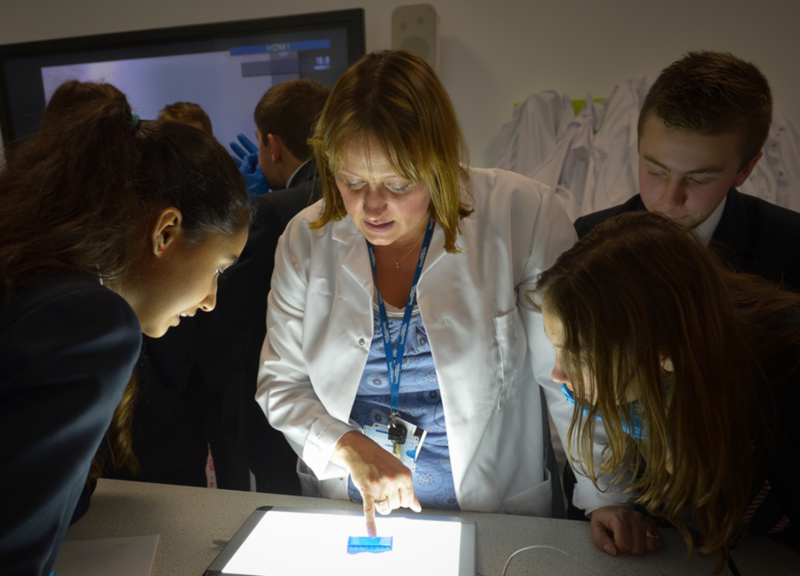 School pupils examine their electrophoresis gels at LifeLab.